On the shelves in my childhood room, you’ll find dozens of journals lined up neatly, some dogeared and worn, others brightly colored, and all deeply treasured. If you were to walk into that room with hints of bubblegum pink paint still peeking out from behind the respectable beige hue that now graces those walls, and you were to pick up one of those dated journals, you wouldn’t find anything life-changing. They’re filled with memories of summers by the lake, tear-stained accounts of first breakups, and wide-eyed wonder of college semesters abroad. Individually, they aren’t anything special. But as a whole, they are a tangible history of my life. I started writing as soon as I could hold a pen in hand, and filling those journals with every overdramatic middle school detail, bigger-than-the-Texas-sky dream, and quiet idea was my favorite outlet. To me, there’s nothing quite as powerful as the ability of a story, whether it’s your own or someone else’s, to capture your attention, draw you in, and make you fall in love. It wasn’t until my middle school newspaper class that I discovered how the marriage of strong visual design and brilliant writing could come together to tell a story in a way that changed lives. And ever since those early days spent typing away furiously on the computers in the newspaper lab or stolen moments staying up late to write just one more sentence in my journal, I’ve been slinging words, kerning type, and perfecting strategies in order to tell others’ stories well. From the way the cheap ink of a newspaper broadsheet smudges your fingers, to hierarchal type that draws your eye down the page with intention, to the quality of the copy that dances across each page, I am intoxicated by the potential of a story told well. As a writer, I have a passion for intentional storytelling that inspires connection, evokes emotion, and shares authentically. As a designer, I have an appreciation for the power of thoughtful design, and how it serves as the visual representation of your story. And as a strategist, I have a heart for equipping creatives to not only tell their story authentically through strong visual branding, but also help them hone the mission, values and goals behind their work through powerful brand strategy. Through my signature approach to branding and storytelling, I encourage and empower businesswomen to reconnect with the heart of their life’s best work as they bravely step into a renewed sense of purpose. 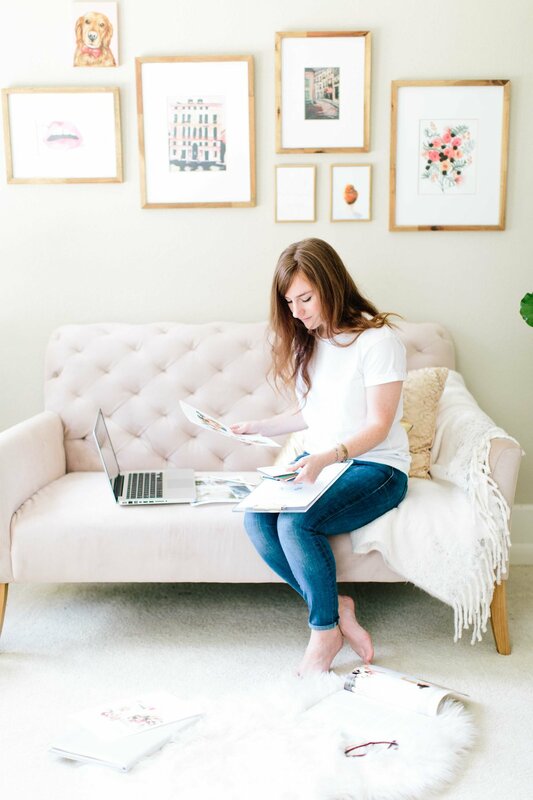 As your designer, storyteller, and enthusiastic cheerleader, I will fight for your story so you can step into the legacy you are striving to create. 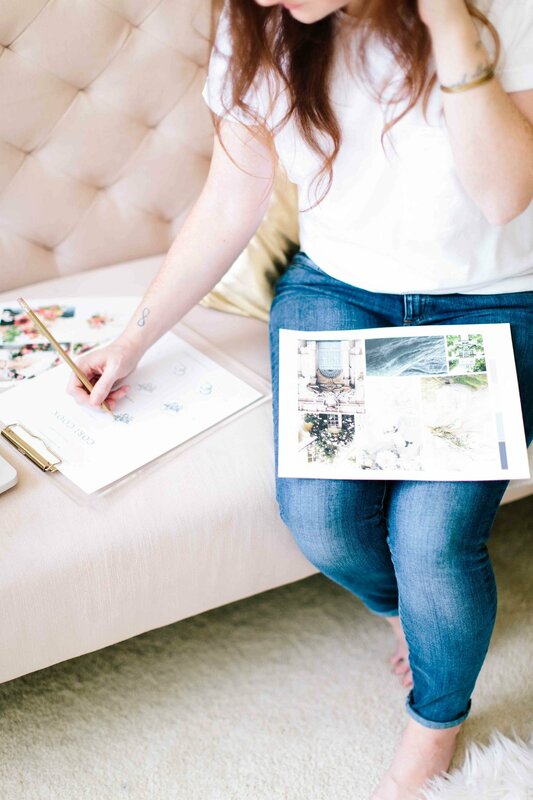 And in the end, you’ll walk away with a visual brand and custom strategy that represents the very heart of your work, the very core of your story, in a way that connects you to those who need your work the most — your ideal client. Together, let’s create a tailor-made brand and strategy that is built to last. Because I believe your story is designed to endure.